Do You Need a New Roof in Fowlerville, Michigan? We Can Help You Out! Having a leaking roof can be a disaster, trust us, we know. When your roof is leaking you need to get it fixed right away and waiting a week or two on a roofing contractor just isn’t going to cut it. At Livingston Roof Pros we have roofing experts that can help you right away if there is a problem with your home’s roof. We have fast, friendly service and we’re fully qualified. When you have a roof problem and need a new roof in Fowlerville Michigan let Livingston Roof Pros help. We cover many different types of roofing on homes, plus we offer affordable and eco-friendly options to give you the best roofing job at the best price that we can. One of the biggest problems that home owners will face if they are having roof issues is the damages that can occur on the interior of the home. We’ve addressed some of the things that you can do to help minimize the damages on your home with other blog posts here at Livingston Roof Pros. Getting a call in to Livingston Roof Pros and letting us help with temporary repairs or a roof repair in Fowlerville Michigan can help protect your home. Calling us and one of our roofing experts can inspect and if needed install a repair or barrier until a more permanent fix can be implemented. We realize there is lots of things that can be damaged when a roof is leaking and we do everything we can to make sure your home is protected. And if your roof needs to be replaced we can also install a new roof in Fowlerville Michigan as well. eco-friendly options to give you the best roofing job at the best price that we can. Just because your home’s roof is leaking doesn’t mean you need a new roof installed. Roofing materials are designed to last 15 to 40 years so it can hold up well. If you are unsure of whether your roof is failing or not allow Livingston Roof Pros to do a roof inspection on your home’s roof. We’ll give you the problems associated with your roof and options of how to proceed to repair them. Sometimes just a simple roof repair can get your home’s roof back in working order quickly. There are many different types of roofing materials being used today. The most common in the Fowlerville Michigan area is the asphalt shingle roofing. Asphalt shingles can come in many different styles and brands. More importantly, they can also come in various grades of quality. We’ll make sure to explain the differences if needed to help you make a better roofing choice to protect your home. 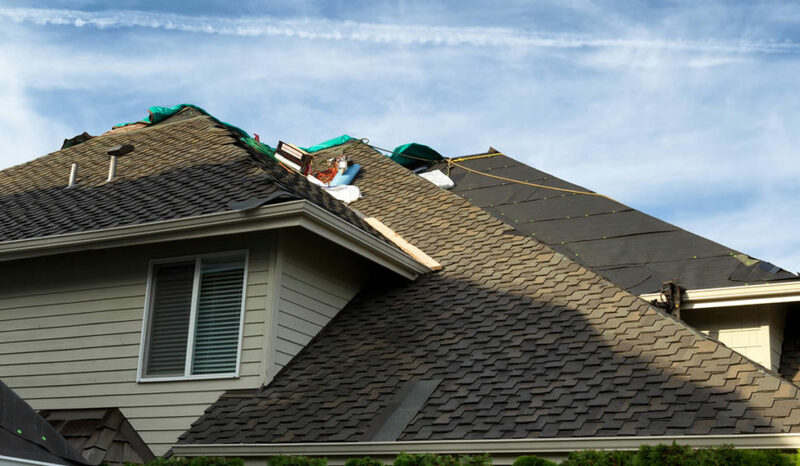 At Livingston Roof Pros we can install and repair a variety of roofing materials including all asphalt shingles products, metal roofing, and even tile roofing which is not very common in our area. We are qualified from a variety of manufacturers so your warranty will remain in tact when using our services. There are many different types of roofing materials being used today. The most common in the Fowlerville, Michigan area is the asphalt shingle roofing. If you need a new roof in Fowlerville Michigan we offer different roofing methods to install that roof. If you’re on a budget we can re-roof your home for a discount on a new roof. Re-roofing will give you a completely new roof on your home which is basically installed on top of the old roof. We effectively remove much of the labor costs and debris removal costs by re-roofing your home. If you want a better inspection of the old roof we also offer complete tear off and replacement of the home’s roof. We’ll basically strip all the roofing materials from the home to expose the roof decking. We’ll then inspect and repair any parts of the roof that may have damages. Finally, we’ll add the roofing materials back on the roof and offer a warranty to ensure you’re protected for years to come. If you’re ready to get started on your new roof in Fowlerville or just want to know how much it will cost then be sure to give us a call today at Livingston Roof Pros. We offer free estimates on new roof installation in Fowlerville Michigan and would be happy to help you.